When Emma sent me an email saying her and the girls loved my topic suggestion for this months travel linkup, I was ecstatic! Since marrying a perfume fanatic, ‘scents’ have become a pretty big part of my life. I’ve mentioned before that the sense of smell is so powerful, it can take you back to a moment in time. A place, a memory. I associate a lot of my scent-memories with travel experiences. So when I had to sit down and think of one I wanted to write about, choose a best, worst or most missed? I thought what the heck, I’ll go for all three! It gives me a headache. When it’s burning I always feel like I can taste it – and I can’t imagine it tastes nice. The smoke makes me feel like my eyes are going fuzzy. It’s way too intense for me, to the point where I won’t even allow Mo to have it in the house. But at the same time… I love it. I love it because it reminds me of home. Or where home used to be. I was fortunate to spend my childhood in Saudi Arabia. A country at the heart of the Middle East. A place that specialises in the creation of oud fragrances. Oud is said to have originated in Assam, India. It’s derived from the Aquilaria trees and comes in 15 distinct species. The tree is infected by a mould which reacts to produce a fragrant resin (also known as liquid gold) that is specifically designed to protect itself – a process called tylosis. This resin-embedded heartwood is the source of oud. It’s known as one of the most expensive natural raw ingredients. Kilo for kilo, oud can actually be worth more than gold. The scent varies depending on the wood, where its grown, how old the tree is and whether it has been naturally infected or cultivated artificially. I should point out, its not solely a middle eastern thing. For anyone who has travelled to the Far East, you’ll probably have noticed the smell of agarbatti. Long incense sticks, left to burn and create a lingering odour. I encountered it all over Thailand, most commonly in temples and other religious shrines. I also remember it from our time in Ubud, the thick aroma following us as we passed the streets early in morning. Its use stretches to the times of ancient Egypt, where it was applied to bodies in preparation for the mummification process. The Chinese reported it being worn back in the third century, imported from Vietnam, it rose to fame as a pure oil and personal perfume. How would I describe this scent? If you walk into a room where the wood has been freshly sparked, the smell can be intoxicating. The pungent aroma can be quite off-putting to most, it’s been likened to the unpleasant smells that can be found on farms (if you get what I mean). But if you wait long enough you’ll start to feel the subtle sweetness weave through. It’s a fragrance you can see, the smoke is grey, thick and snakes through the air slowly, clinging to your clothes and engulfing the entire room, giving oud its mysterious trait. Most importantly, what does oud mean to me? If I was to close my eyes, the smell of oud conjures all sorts of nostalgic images. I think of souks. Of women clothed top to toe in black abayas, gliding from stall to stall. Of men dressed quite the opposite, in white, some sporting keffiyeh, shielding their heads from the blazing sun. I think of the numerous perfume shops I’ve visited across the Arabian peninsula, the shelves lined with tall glass vials filled with deep oils, their names scrawled across in what I would see as beautiful calligraphy. I remember leaning on glass counters, filled with pieces of bark (albeit very expensive pieces of bark) of all shapes, sizes, variations on colour. A traditional mabkhara (incense burner) would be set up with the latest release on show, a sight not exclusive to perfume shops. I can hear the rich drawl of the Arabic language, its tone embodies the characteristics of the fragrance. It can be sharp, harsh, with heavily emphasised vowels and letters but when spoken softly or in prayer, can be described as silky, seductive and utterly mesmerising. A potent scent that makes me scrunch my nose in distaste, but at the same time each single sniff fills my heart with the most affectionate travel memories. Have you got a favourite scent story? 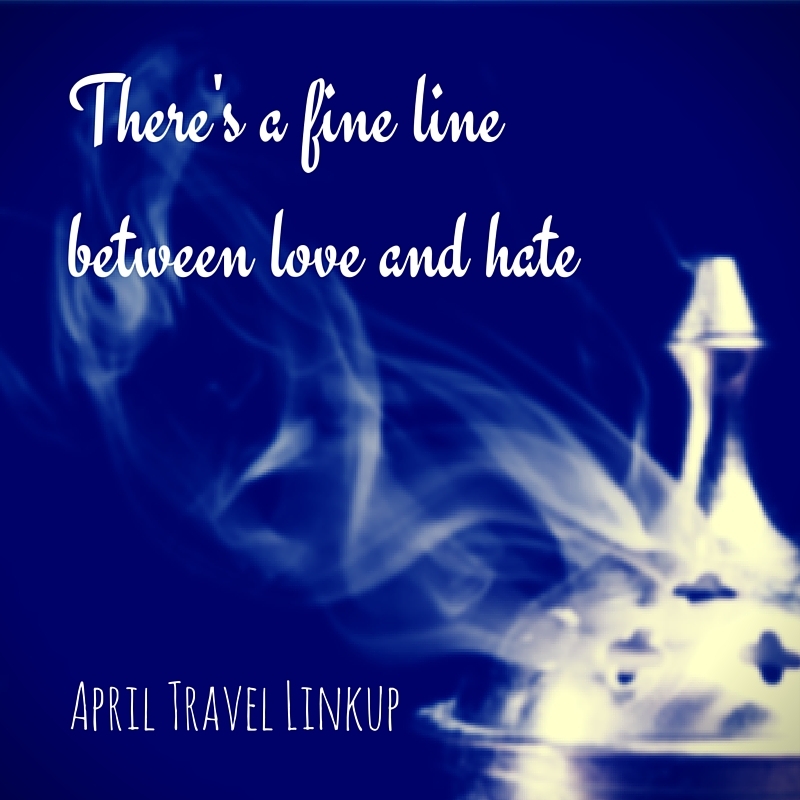 Join this months travel-linkup!